“‘Oh dear, I seem to have been captured… but by whom?’ Alice was left in solitary for an immeasurable amount of time. She laughed, cried, danced, screamed, plotted and planned. The prison offered no comforts. It was empty, barring a small table and a deck of cards. Alice had played every game of cards she could think of to keep herself amused, but no matter what game she played, the last card to be drawn was always the Queen of Hearts. She spent hours staring at that particular card. There was a small window, only a few inches wide, in her cell. Alice would struggle to catch a glimpse of the rising and setting sun. One day she heard voices from outside… ‘The Queen will want to see her.’ ‘Our orders are to wait until Alice has made her decision.’ ‘Very well, but the Queen grows impatient.’ ‘I do hope that Alice decides to fight.’ ‘Oh no, the Queen would much prefer if Alice surrenders completely.’ In that moment Alice knew her fate was entirely in her own hands. 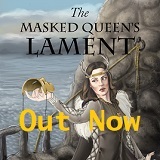 She must fight, not for the safety of what she had known as a child, but for the truth she must find here and now. She must fight for love, for truth, for her life, for her heart. Will that heart be strong enough to confront the future that awaits her… or will she lose herself completely?” Every year Heavy Red releases a new version of their Alice in Wonderland costume. This year’s version is the imprisoned Alice, as Emprisonné means imprisoned in French. 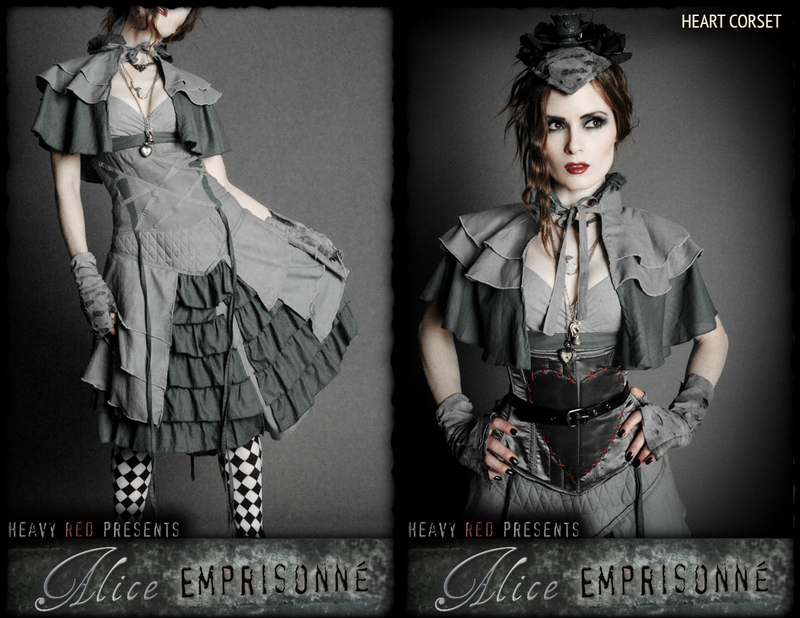 This costume comes with the Gray Alice Dress, your choice of the Heart or Buckle Corset, and the Matching Gray Cape. 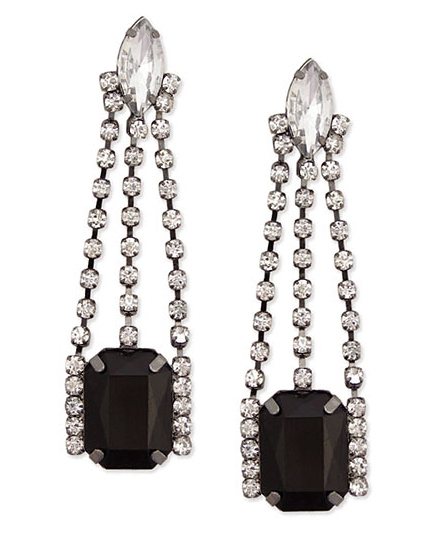 You can also opt for the full package with all accessories. You don’t have to make your costume to me unique, this rendition of Alice is truly unique. This Halloween how can you pass up a finely constructed and imagined limited edition costume from those that bring you the cutting edge of gothic fashion? 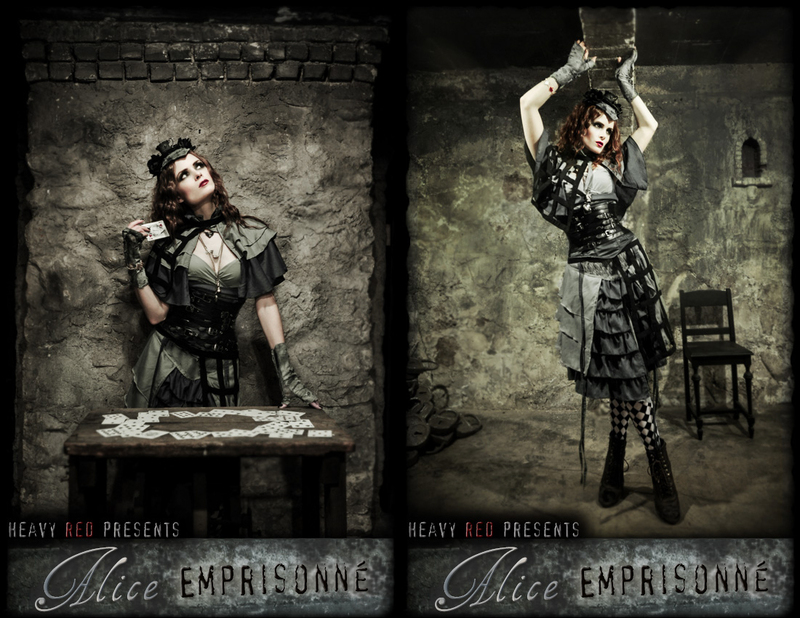 The Alice Emprisonné Costume package is available online for $195 and the costume plus accessory package is available online for $365, both at www.heavyred.com.